With 10 times the amount of iron in each bag, the greening effect on your lawn is extraordinarily fast. The chelated form of iron in the new Iron Plus fertilizer allows your lawn to ingest it efficiently and effectively. Not all forms of iron are so easily ingested by grass plants! And, our new iron formula does not stain patios, decks, or other hard surfaces. Iron is the same to your lawn as it is to your blood: while iron content in your blood produces red blood cells, iron in your lawn produces a deeper green form of chlorophyll. CIL Iron Plus includes magnesium to assist iron in its work as the primary greening agent. The results speak for themselves within a couple of days. The new CIL Iron Plus formula still contains a slow-release nitrogen for a greener lawn, longer. The sulphur-coated urea releases nitrogen for up to an 8 week period as temperatures rise, rain falls, and microbial activity in the soil increases. 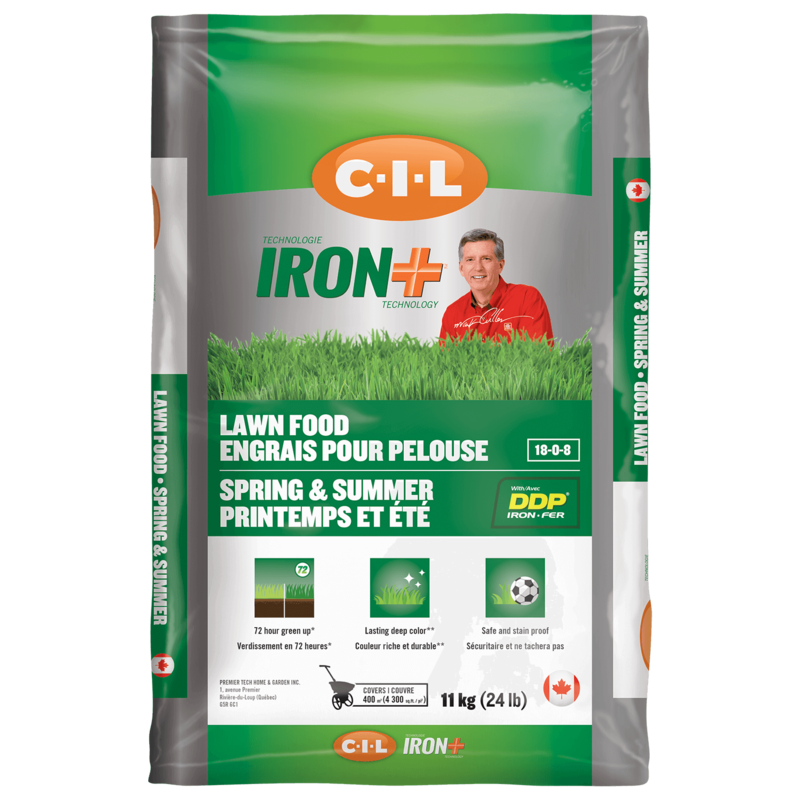 It is my view that CIL Iron Plus is the most sophisticated lawn fertilizer formula on the consumer market in Canada today, and it will be the only fertilizer that I will apply to my lawn.